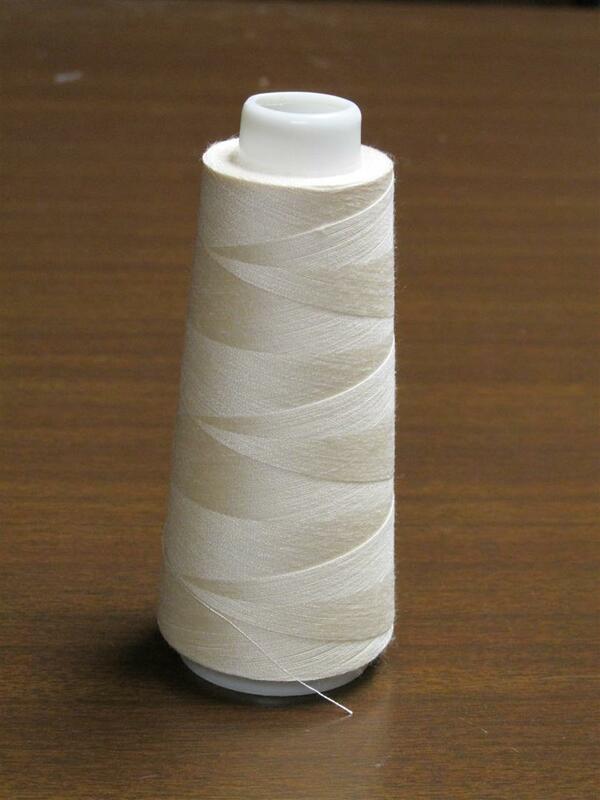 Do you use the large cones of thread? Do you have a fancy thread holder or need to purchase one? Here’s a great tip! 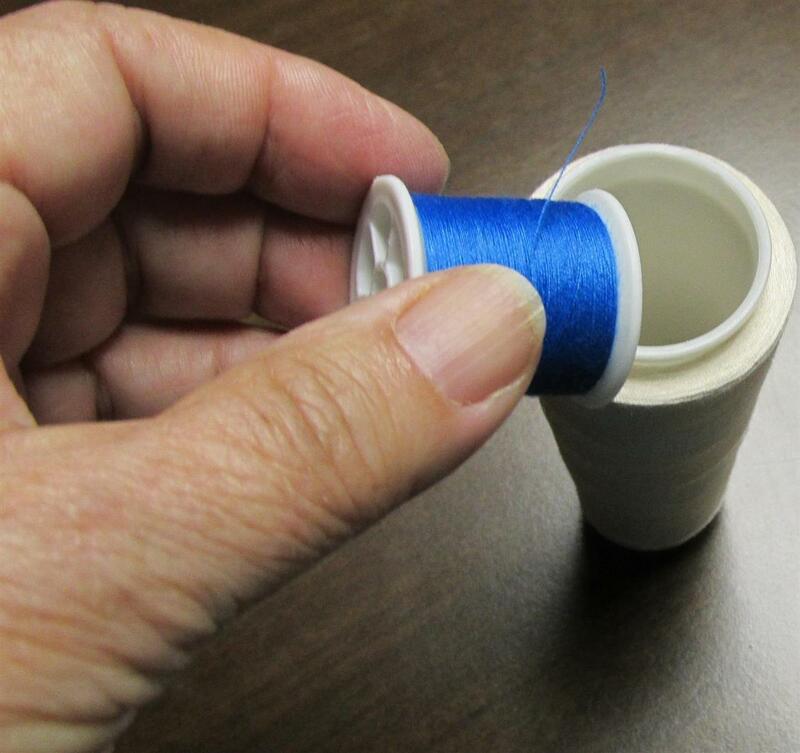 Turn your cone over, find a small spool of thread that fits snugly inside – Voila! 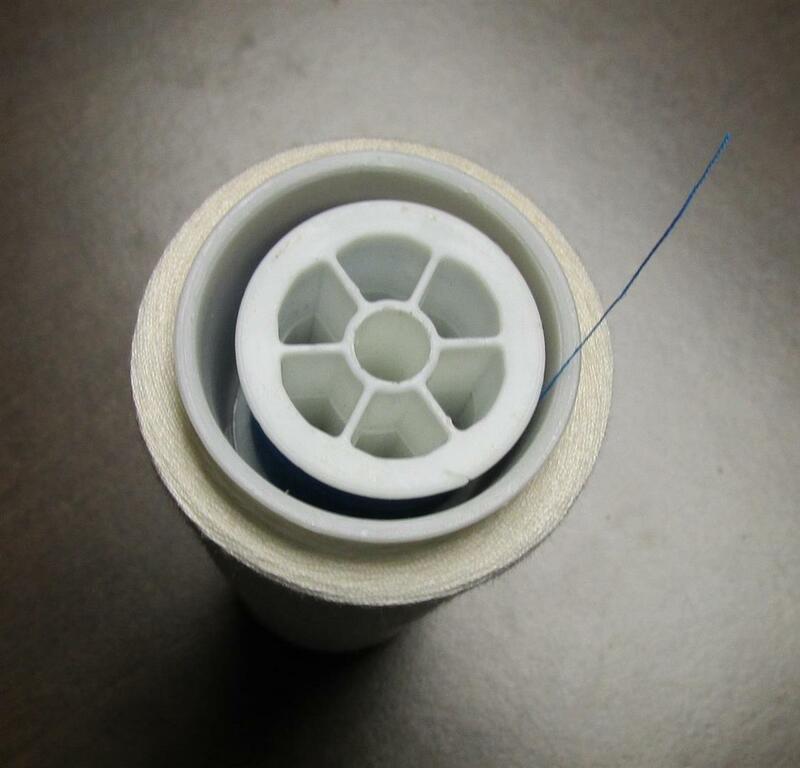 Your cone of thread can now fit on your spindle. Save your next empty spool and always have it on hand. No more need to have an extra piece of paraphernalia on your sewing table. This makes it easier for traveling to classes, sew-ins and retreats. And, it costs nothing extra! 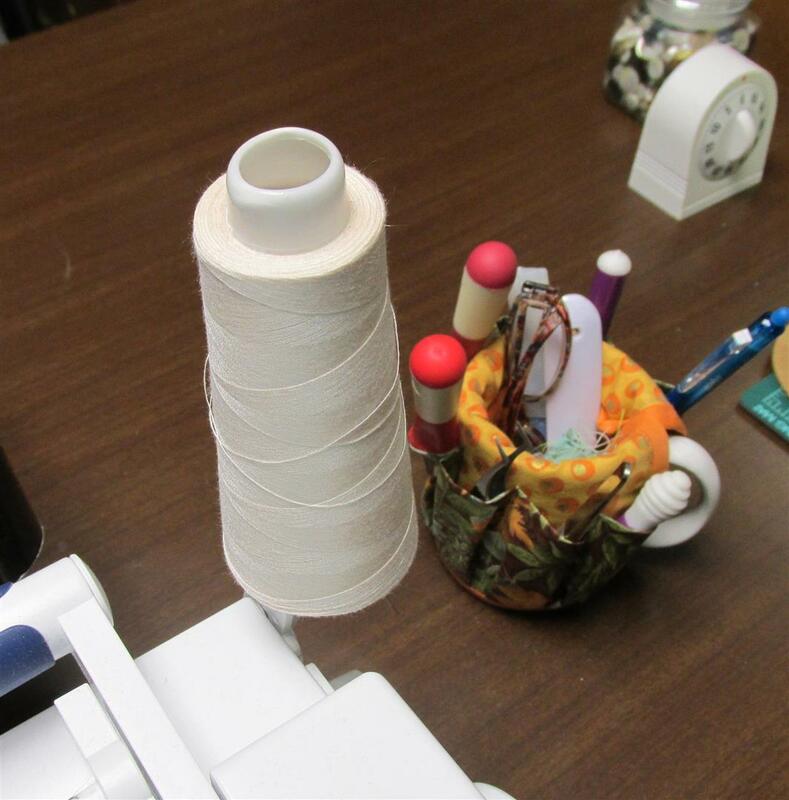 Large cone on sewing machine spindle! Posted in Quilting, Sew-in, Sewing Tools, Thread, Tips and tagged Machine Quilting, Quilting, Sewing, Thread, Thrifty, Tips. Bookmark the permalink. This made me smack myself in the forehead and say “duh” thank you! That’s a good idea. I drop my cones in a tin cup. Then I used painters tape to attach a safety pin to the side of my machine, with the round-loop end up. I feed the thread through the pin loop and on its merry way. It works well, too. I have purposely steered away from these big cones because they wouldn’t fit on my machine – what a FABULOUS idea!!! Thank you! !